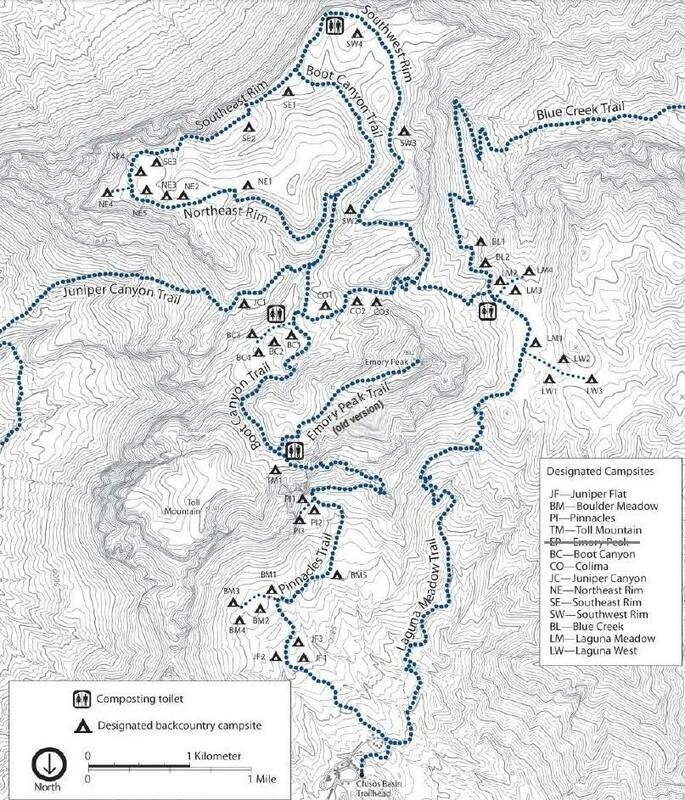 I am planning on hiking the outer mountain loop trail this coming January. I've never been to Big Bend, or Texas for that matter, and want to make sure my car will make it to the suggested water cache locations. I will be driving a 90's era 2 door saturn. I plan on driving to and parking at the Chisos Basin Visitor Center and starting the trail from here. Before I do that though, I am planning on caching water at the Homer/Wilson Ranch and at the Juniper Creek location. Will I be able to make it there in my saturn? The bear box at Homer Wilson is just a couple hundred feet down the trail from the blacktop, so no problem there. Haven't been to the Juniper Canyon trailhead yet, so I'll let those who have been there comment. It will be a significant challenge to drive that Saturn to the Dodson/Juniper Canyon trail head. Thanks for the reply. I will seriously consider against driving my car to the juniper creek cache location. Hopefully, I will run into someone else who is going to pass through there and they can drop off my water on their way, if they would be willing to do so. I always carry a filter for my water, I just hope I am lucky enough to see water during my trip. I'll have to check out those electrolyte tablets, sounds like it's worth it's weight for sure. Are there any maps floating around on this board that show the OML trail in more detail, specifically the potential water sources? All the maps I've seen didn't show me much. I plan on buying some topo maps before I go, but if there is a good map I can refer to in the meantime, that would help me plan this trip out. If you start out with two gallons, you should have no problem reaching Fresno, even with a night in the Chisos. Refill there with enough to get you to your cache at Homer Wilson. Then you're set for the rest of your trip. Plan on pumping water. There is nothing like finding water in the desert as long as you stay ahead of your water needs. I wouldn't hesitate to take TWWG's advice. Are you doing the OML in the traditional 'clockwise' loop? That means starting from the Basin campground, hiking up to Juniper, down Juniper to the intersection with the Dodson, then across to Homer Wilson Ranch, and then up Blue Creek to the Basin campground? I hiked that version of the OML in Feb '09, and had enough water to get from the Basin campground to Fresno Creek to resupply. Started with about 8 liters of water, had 1 liter left when I got to Fresno Creek. I've heard during dry weather, you may have to go down Fresno creek a few hundred feet to find water seeping out. There was plenty flowing when I did the OML, so it wasn't an issue. The only minor route finding problem along the Dodson is when you are traveling along the dry wash near the intersection of the Smoky Creek trail. Just keep looking for cairns, and you'll have no problem. I hiked the entire OML and really only needed my GPS to see how many miles I've hiked and how much left each day. I never needed the GPS to get back on the trail. If you are hiking the traditional OML, you really only need one water cache at Homer Wilson Ranch. Cache 2 gals there and you'll be in good shape. I only cached 1 gal there, and ran a bit short of water the next day as I hiked back down to my car at the Basin Campground. I spent 3 nights along the trail... Left my car at the basin parking lot, hiked up the Pinnacles trail and connected to the Juniper Canyon Trail. Night #1 was about 2/3 of the way down Juniper Canyon Trail, Night #2 was at the Dodson/Smoky Creek trail intersection, Night #3 was at Laguna West, the last day was a short 2-3 hour hike back to my car. I would strongly advise you to not drive to Juniper in your Saturn. The roads are in the best shape that I have seen them for a long time (2 weeks ago), but they are still high clearence required. I think there is a greater possiblility of ruining your trip than is worth the risk. I also think finding someone to take water out there for you is not something I would depend on. What if that person gets a flat and turns around before dropping of your much needed water??? Like others here, I have always been able to make it to Fresno with water when leaving the Basin packing 2 gallons total (in Winter). You can count on the water below (South) of the trail where it crosses Fresno Creek. It was running with nice pools of water less than 10 minutes below the trail. Saw it with my own eyes. If you want to make it a 4 night trip, stay on the rim the last night after picking up your cache from Homer Wilson and sleeping your 3rd night along Blue Creek. There is a campsite at Cedar springs and two others as you head towards the climb. Eat and drink all you can the night and morning before climbing back into the Chisos so that your pack has only one more night's worth of food/water inside. Finally, the Panther Junction Visitor's center has a nice Outer moutain loop plastic map for $11 that is a little bigger than a Quad for sale. It is just to the left of the cash register on the end of the book rack. Can't miss it. I agree that Glenn Springs would be doable (in that area Nov 11-16th); we DID see an older couple a good ways down that road as we exited who were in a green Saturn. However, Juniper Canyon road, which isn't too bad, had a couple of spots where my Tahoe took a shot. But this only hit the running boards. Water? One could feasibly hike up to Boot Canyon from the Basin and top off their supply in order to make it to Fresno. It should be positioned on the Dodson/Junpier Canyon trailhead. This is a nice resource! One can toggle through different types of maps and zoom in/out easily...these are older versions of topos, I believe, but this is a good thing! The maps show features which may have been deleted from newer maps due to the exemption of sensitive sites by the Open Records Act. Thank you RichardM for the links to the maps, and also thank you to Homer67 for the map link... I like that site! Darin, thanks for the info. I have been on the NPS/bibe site and checked out that itinerary previously. I was actually getting ready to start another thread regarding an itinerary that fits my needs. I will be driving over 1,700 miles, by myself, to get to the park, and therefore will not be in a hurry to knock out 10+ miles every day with a 40 pound pack in this type of terrain. I was thinking about splitting the trip up into 4 or even 5 days so that I can keep my mileage down and allow for more time to explore and take in the scenery. In my past trips, I've felt rushed to make it to my next campsite and often don't get to enjoy the things I came for in the first place. I'm not set on a starting point, but being that I am limited to where I can go in my Saturn, I believe the Chisos Basin Campground is my only option, correct? The only other starting point I have heard about is the Juniper Creek area, but since I won't be risking my car on that road, that doesn't seem like an option at all. Also, I would like to include a hike to the top of Emory Peak in this trip. I've heard you can camp up there, is that correct? If so, how much of a challenge is it reaching the top with a full pack? I am thinking about going the last week in January, and from what I can tell, this is one of the driest times of year for the area. How certain are you guys that there will be water at Fresno and other locations along the trail during this time? Obviously, there are no guarantees, and I will check back closer to the time of my trip for more current info on water. For now, it looks like I will be caching at Homer/Wilson, carrying 2 gallons of water, and hoping to refill at any chance I get. My goal is to be able to pack in as many awesome views as possible. If I see something of interest, I want to have the time to go and check it out and not feel like I have to spend my entire day getting from point A to point B. Any suggested itineraries (which include a climb to the top of Emory Peak, camping up there or not) and points of interest along the OML trail would be helpful. Thanks again everyone for the quick and detailed replies. When I joined this forum, I was not expecting so many answers so quickly. You guys are awesome! You can start at Homer Wilson ranch and leave your car there. There is also a big bear box where you may stow your backpack at the bottom of the 1.2 mile Emory peak trail so no need to carry it up there. There are campsites all in the basin area and the upper part of the Chisos. They are "reserved" when you get your permit for the hike. This is different from camping out in the desert (Dodson trail, lower Juniper trail, and lower Blue Creek trail). Along the desert trail there are many campsites which people use when they come to them. Sometimes, you can hike by a campsite every 10 - 15 minutes. They are "flat" areas where previous backpackers have cleared off the grass and placed their tent. Most will only hold a 2 person tent comfortably. Fresno should be running in January. I am planning on it when I return for another trip out there about the same time. Down load the NPS map so you can follow along on your computer to how much distance people traveled, and see where the campsites they used are located. People here may be able to help more if you can say how long your going to be in the park, and also if you want to backpack the entire time. It at least has a lot more detailed info. Here's the map from the above PDF file. I believe EP1 was removed as a campsite when they rerouted the trail. I've misplaced my paper copy of that map. I assume you mean the High Chisos Backcountry sites as opposed to the "campsites" along the Dodson, etc.